The Basics of quadrupole parameters . 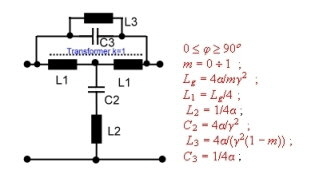 Analyse vacuum tube circuits with CAD Programs. 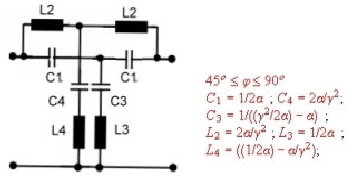 Read bidirectional transistor h parameters from the data-sheet. 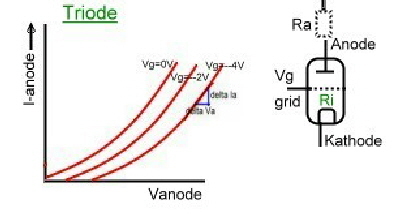 Neutralization of transistors using y parameters. Step by step development of run time equalizers. 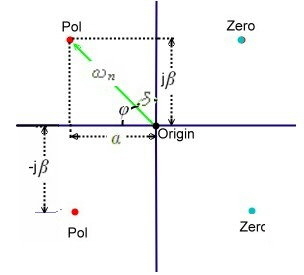 Fig.3 , Z- Parameters are use full in Filters. S-Parameters (Scattering Parameter)are use full in the MHz and GHz range. Two quadrupoles in series. Fig.1 can be computed, to be one quadrupole, if the H or S parameter of the block are known. Y-parametres must first changed into H or S parameters and vice versa:. Electronic Tubes basic’s, understanding, application, formulas. 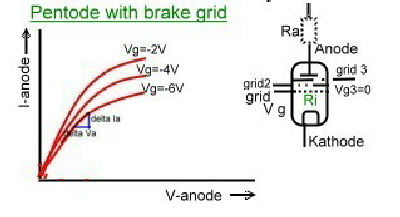 -Diode, -Triode, -Pentode, -Pentode with brake grid. 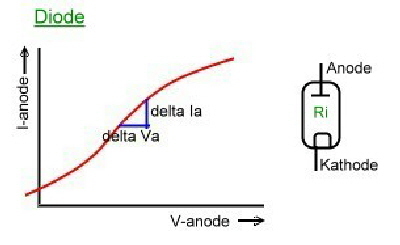 This Values can be computed from Capacitance’s and Resisters found in tube Catalogues. Catalogue values are resistor and capacitor values >>>Y = 1/ R . To analyse in a CAD program, we nee values over the frequency working range. 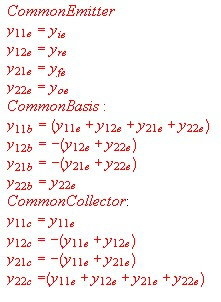 In the following formulas, the regular quadrupole formulas are enhanced due of the gain slope S.
Y21 = S -Yag . Y22 = yak + Yag. Y22x = Yak +Yag + Yag((S-Yag)/(Ygk + Yag)). Y11x = Ygk +Yag .+ Yag((S-Yag)/(Yak + Yag)). Gain = V2/V1 = -(S-Ag) /(Yak + Yag) >>> Load must be part of Yak. Y11x = S + Yak +Yag -Yak((S +.Yak) / (Yak + Yag)). Y22x = Yak +Yag - Yak((S + Yak) / (S + Ykg + Yak)). Gain = V2/V1 = (S + Yak) / ( Yak + Yag); >>> Load must be part of Yag. Gain = V2/V1 = ( S + Ygk) / (S + Ygk + Yka), >>> Load must be part of Yka. The Y values Y11, Y22 , Y12, Y21, depending on the frequency, must be written in a CAD Y Block, for instance as a touchstone format . The blue text must be written as a ASC2 DOS text-file. If we want to analyze circuits with transistors, whose data’s are not available in the program , You can write the Data’s of the transistor in a 2-Port Block. But one must know, the quadrupole data’s of the transistor.We write the transistor 2 Port values in a standard S , Y or H block. This are values from catalogue , where sometimes other names are used. Static H Parameters can be read directly from the Data sheet..
Read bidirectional transistor h parameters directly from the datas-heet. When the transistor cross frequency is ten times higher than the operating frequency, one can use static H parameters for circuit analysis. H Parameters can be read directly from the Data sheet.. Fig. 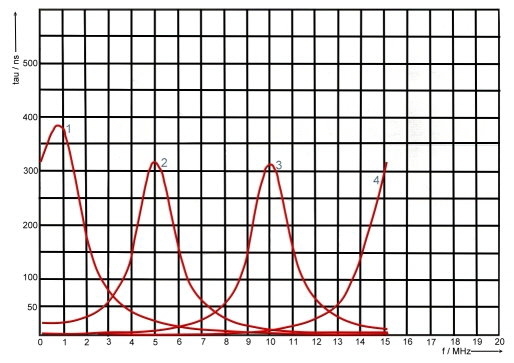 We find these data from the slope of the curve at the working point. Fig. 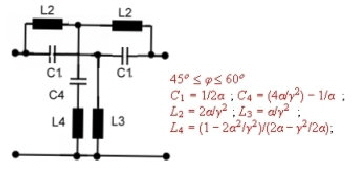 H parameter emitter common circuit in the data sheet. To compute the behavior of a circuit with h parameters, we use the 2 Port of Fig1. Fig.1 Loaded H- parameter 2 port. 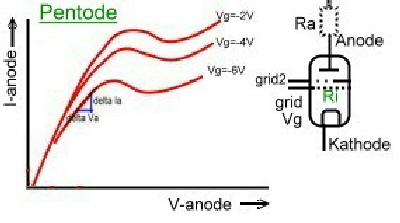 To compute the behavior of a circuit with Y parameter, we use the 2 Port of Fig. Rsource and Rload are the real parts of Zsorce and Zload. 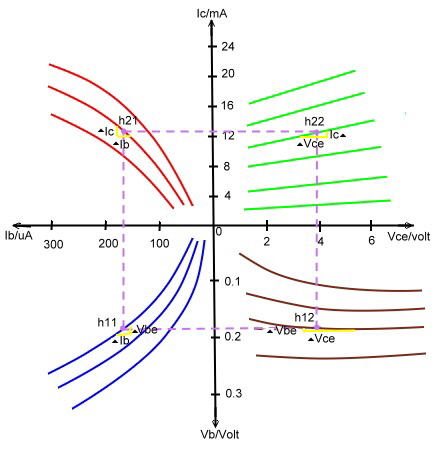 New Quadrupole Y- parameters including tubes gain steepness S .
Transistor Gain, using S- Parameter equation. Electronic signals which carry communication content, go through circuits, filters, long distance cables and communication satellite networks . If the phase response of a signal path is not proportional to frequency response, phase and runtime distortions of the signal, will occur. The consequence is that language twitters and images are blurred. The runtime of the phase is called tp. Obviously, the bits in the phase linearized communication system are faster and have less overswing. Delay Equalizer basics of RF-communication electronics. The result of the transmission equation F(s) is gain an phase. 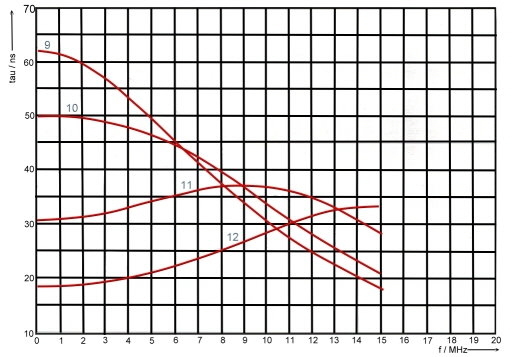 Fig.3 -6 Groups runtime tau(omega) versus alpha and beta in the 10 MHz range. Step by step development of groupdelay equalizers. Find an equalizer circuit to realize the necessary alpha and beta values from Fig. 8-12. It is often better to use 2 ore more simple Equalizer in series than only one complex circuit. 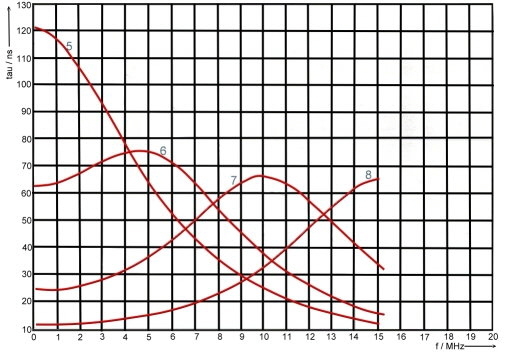 Find the phase = Phs f(omega), which produces the groups runtime of the system. Write Phs into a CAD -linear analysing-Program, S-Parameter Block. 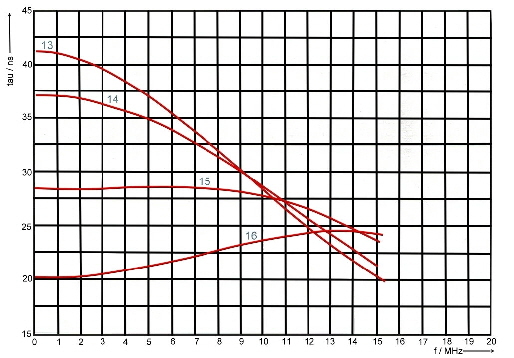 S21 and S12 > 30dB; S12>30dB ,S21=0db and phase of the system. Write the Equalizer circuit into the same CAD-linear analysing-Program. Analyse the sum of runtime and the total gain. 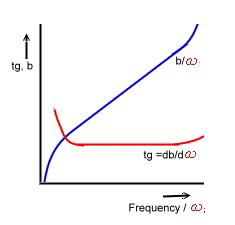 Runtime must be constant versus frequency.The equalizers gain must be constant versus frequency. Add component losses and optimize circuits values during CAD sessions..
Equalizer #2: Grade =4; 0<phi<90degree. Equalizer #3: Grade =4; 60<phi<90degree. Equalizer #4: Grade =4; 45<phi<90degree. Equalizer #5: Grade =4; 45<phi<60degree. The circuits and formulas to get basic values are shown in Fig.8-13.This basic basic values are without dimensions and must be multiplied using Lb and Cb. Omega(b) is the free choice frequency of reference and will be the runtime peak of the equalizer runtime courve. Rb = Free choice of input and output impedance. 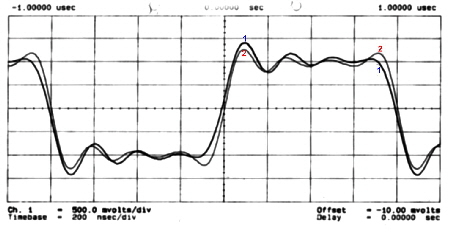 For Fig.9, we need a perfect coupled transformer having k=1; At RF frequencies the stray inductance of the transformer should be considered, while analyzing the circuit. Factor m is arbitrary. Practical Example of groups runtime equalizer .